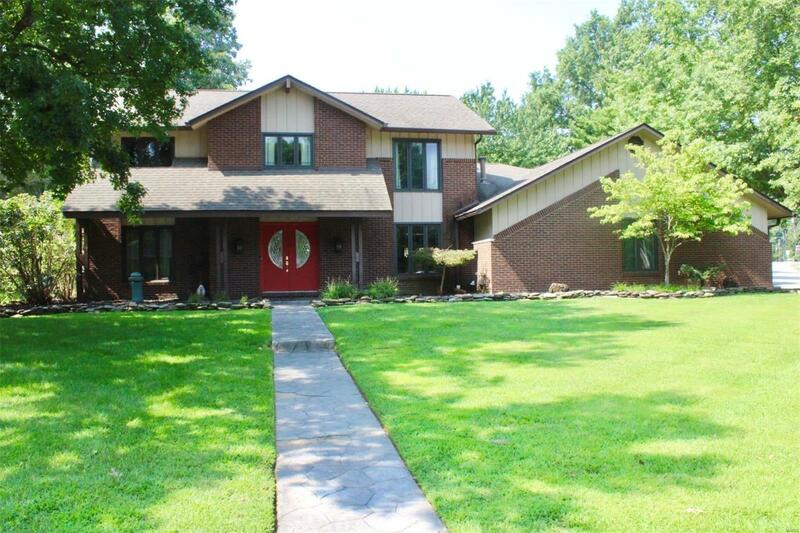 An amazing custom O'fallon home with stunning slate floors in the foyer & beautiful office to the left. The library boasts custom built-ins & custom made by Dugan's Woodworking gas fireplace for you to cozy up & enjoying your favorite book! The kitchen has everything, separate subzero refrigerator & freezer, 2 trash compactors, a prep sink, indoor grill, 8 burner gas cook top, large double ovens, warmer, quartz counter tops, beautiful plank hardwood & breakfast bar that sits in the breakfast room w/lots of windows looking out to the backyard! The breakfast room has a built in desk, also connects to the mother-in-laws quarter living room & also with a bedroom & bathroom. Upstairs you find your Master bedroom w/gas burning fireplace & spacious Master bathroom w/dual sinks, whirlpool tub & separate shower. Additionally there are another 3 large bedrooms. Outside is perfectly landscaped & the fenced in backyard w/private in-ground pool & hot tub!